Cotton Tee-Shirt with De Pere Select Logo screen printed across the chest. 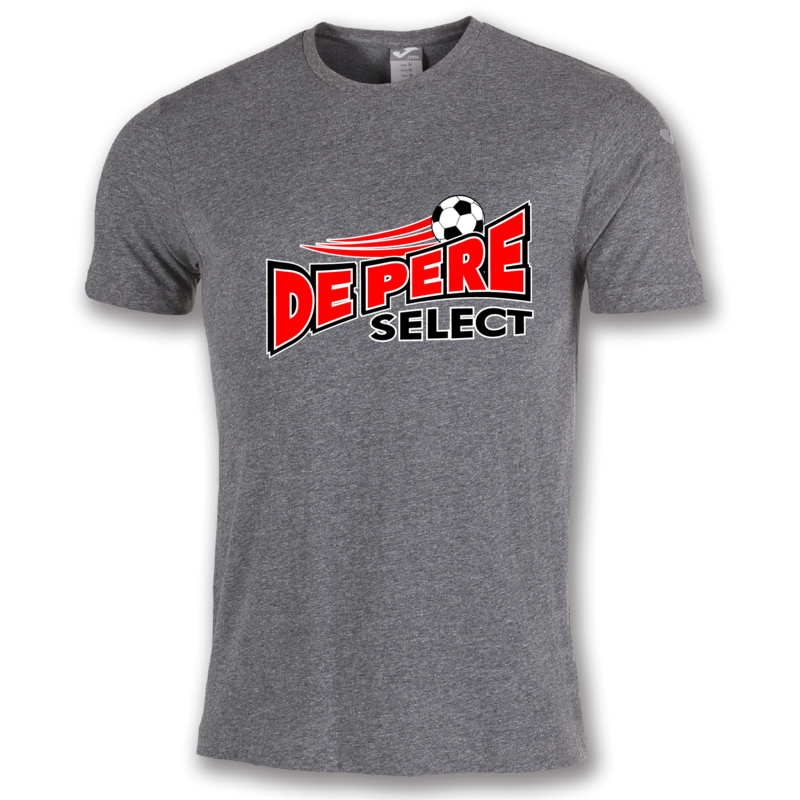 Available in black, gray, white, or red. Cotton T-shirt designed with round ribbed collar that stands out due to silver silkscreen logo on the sleeve. 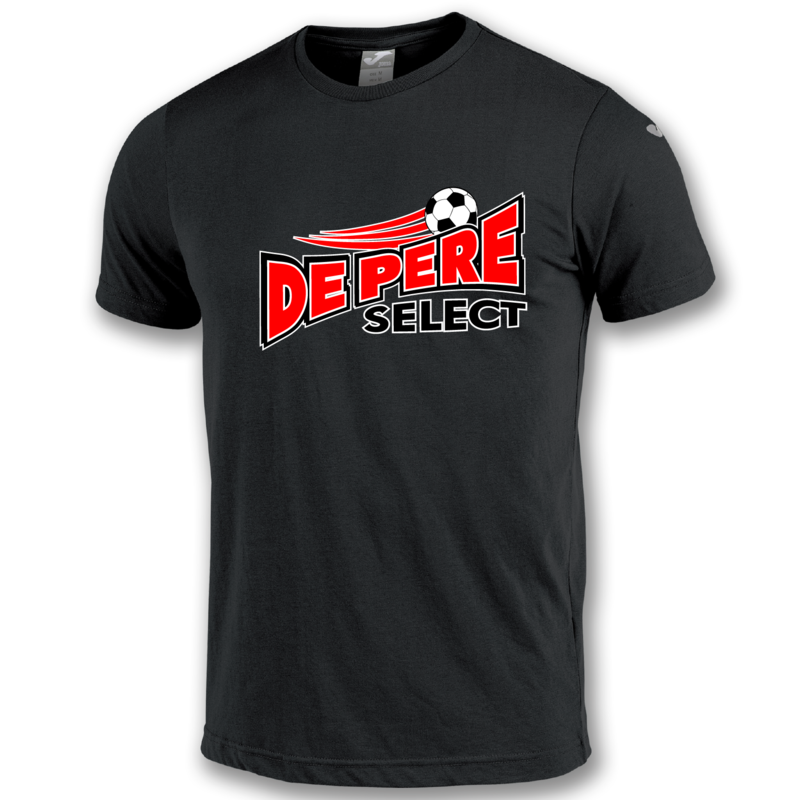 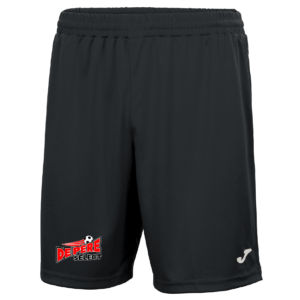 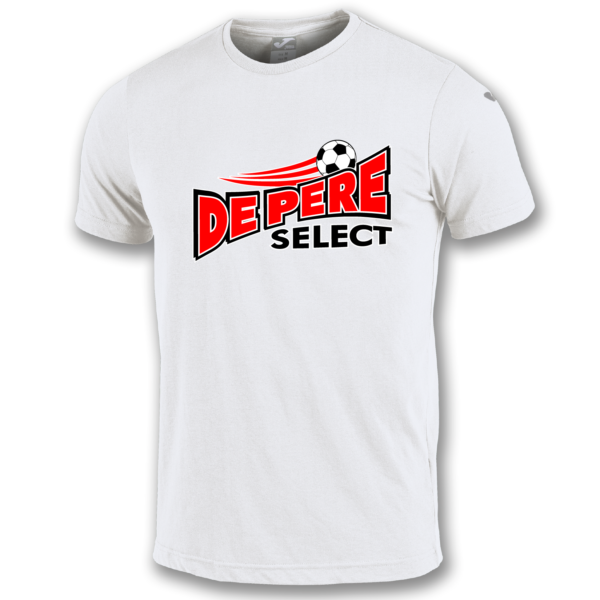 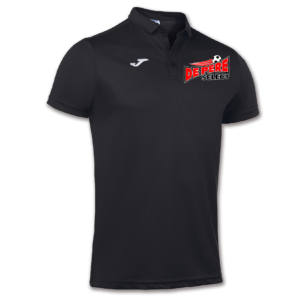 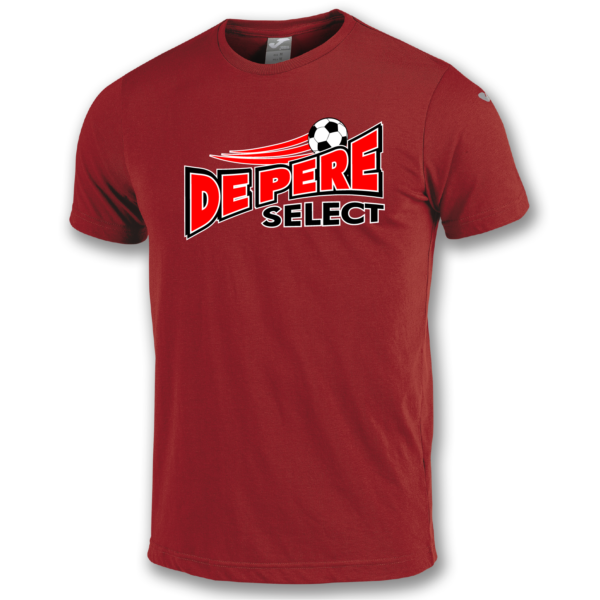 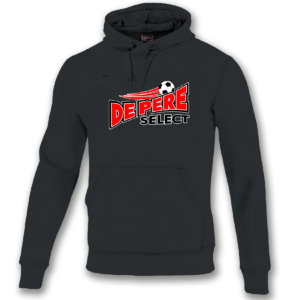 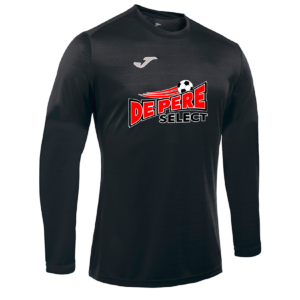 De Pere Select logo screen printed across the chest.